As you well know, you lose all the data and settings on your device when you perform a factory reset. Yet sometimes, to fix a problem with your iPhone it may become necessary to perform a factory reset. 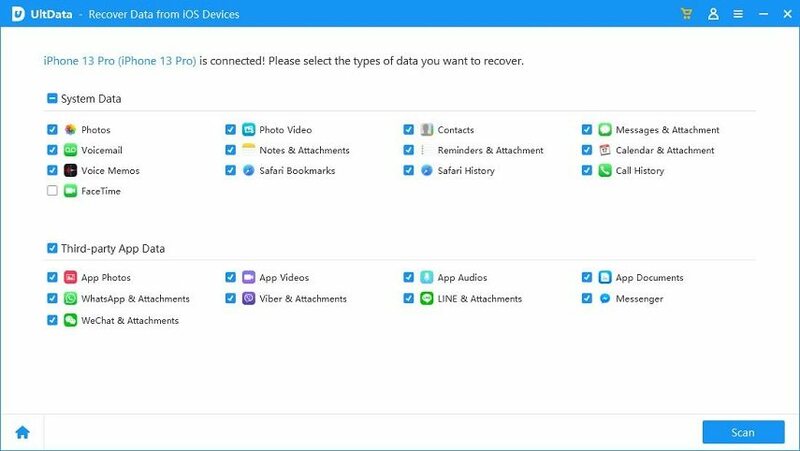 If you did and lost all your photos, you may be wondering how you can recover photos from iPhone after a factory reset. Wonder no more! This article will share with you the top 3 ways you can recover your photos on iPhone XS/XS Max/XR/X/8/8 Plus/7/7 Plus/6S/6/SE/5s/5after a factory reset. Part 1. How to Recover iPhone Photos After Factory Reset Without a Backup? If you didn't have a backup of the photos before you did the factory reset, you may think there is no way to recover them. But there is in the form of one of the most powerful iOS data recovery tools in the business. Tenorshare UltData can easily access the iPhone's files and recover any data you may have deleted or lost. Here's a simple guide to help you use the program to recover your photos. Step 1: Install Tenorshare iPhone Data Recovery on to your computer and then launch it. 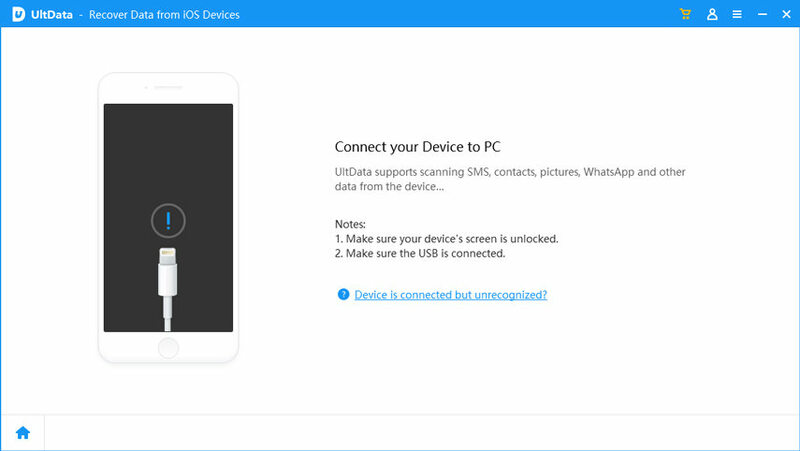 Connect the iPhone to the computer and wait for the program to detect the device. Step 2: Then, you need to select the type of data you want to recover. Make sure that "Photo" is selected and then click "Scan Now". Step 3: The program will begin scanning the device for the photos you need. When the scan is complete, select the photos you want to recover from the data listed in the next window and click "Recover" to save them. Part 2. How to Restore iPhone Photos After Factory Reset With iTunes Backups? Step 2: Select the iPhone and then click on "Restore Backup." Step 3: Choose the most relevant backup and wait for the process to be completed. You will not lose any of the new data on your device as you would if you were to restore via iTunes. iTunes doesn't allow you to see the contents of the backup file. 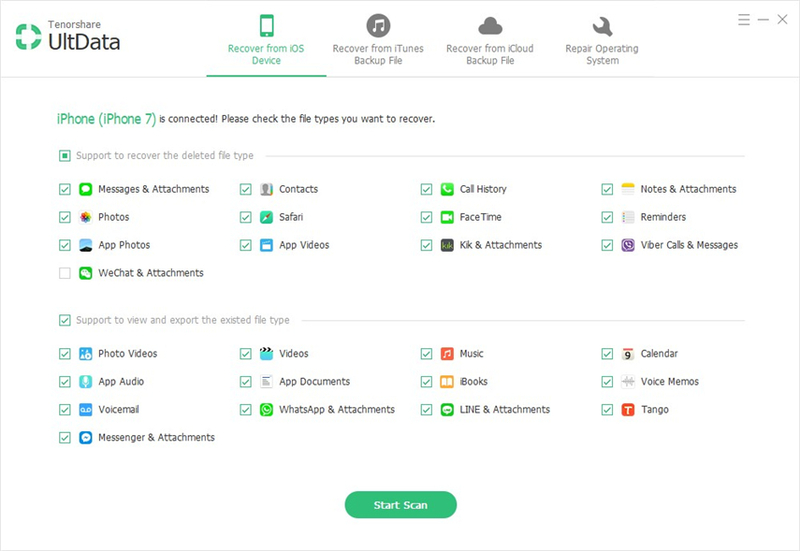 Tenorshare will open up the file allowing you to select the files you want to recover. Part 3. How to Recover iPhone Photos After Reset from iCloud Backup? Step 1: If you are already on the set-up screen, follow the on-screen instructions until you get to the "Apps & Data Screen. If you are not, go to Settings > General > Reset > Erase all Contents and Settings to first erase the device. Step 2: Select "Restore from iCloud Backup" and then sign in to your iCloud account. Step 3: Select the backup you need and stay connected to Wi-Fi as the backup is restored to the device. You can gain access to the backup file and selectively restore data from it. You don't need an internet connection to restore the backup or access to the device. You don't need to erase the device to restore the iCloud backup. The above solutions provide a great way to recover photos from iPhone XS/XS Max/XR/X/8/8 Plus/7/7 Plus/6S/6/SE/5s/5 after a factory reset. Let us know how it works out for you.